Resumes and cover letters go together like peanut butter and jelly. These two documents have been BFFs in the job hunt for decades. 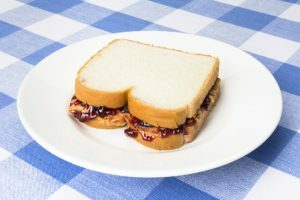 Every now and then, though, you need to add a little bit more to make the experience extra special; think of it as a side of chips for your business PB &J. If you’re in any sort of creative field, you’re probably used to needing a portfolio during the interview process. However, a portfolio is no longer a must for graphic designers alone; as the use of technology expands, we can all benefit from sharing a variety of personal content! Think of any video, graphic or web content you can attach to your professional materials. Even simply hyperlinking to the websites of organizations you have done volunteer work for can give employers a more well-rounded view of your body of work. Depending on your style preference, the traditional “Objective” section of a resume can be replaced by a profile or short self-summary. Rather than speaking to a specific job role, this brief paragraph can provide an overview of your strengths, experience and overall outlook. Every industry expects something different, so be sure to speak to peers in your network to determine what works best for you. Crafting an effective profile can be extremely helpful outside of your resume, adding more interest to your LinkedIn profile, personal blog or even serving as preparation for job interview questioning. Get ready to tell your story in about a minute and a half – it’s harder than you might think! You don’t need to be a movie star to need a headshot! While you won’t want to send in a photograph with most job applications, a professional snapshot is becoming increasingly necessary when creating personalized social media and other professional profiles that stand out. If you’ve ever tried scouring through your Facebook photos to find your most professional looking image to reuse on LinkedIn, you already know what a difference this can make! A simple shot, featuring your best professional attire and taken against a blank background (one solid color), is a convenient, reusable resource. Everybody loves a good resume and cover letter! But just like switching from creamy peanut butter to crunchy, sometimes you need to mix it up. Adding a few new pieces to your job application materials might just make your job search all that AND a bag of chips! This entry was posted in Job Seekers and tagged creative job search, Information to Include on Resume, LinkedIn tips, Making Your Resume Stand Out, networking advice, portfolio. Bookmark the permalink.